Twice the size, twice as strong....and made in the USA! This (20) pack of upgraded UltraFlightâ„¢ circle clips will fit the AR.Drone 1.0 and 2.0. These clips are twice the size of the stock clips and much easier to install and remove. Stronger and more resilient to bending, these clips can be used again and again. They're also easier to find when you drop one! 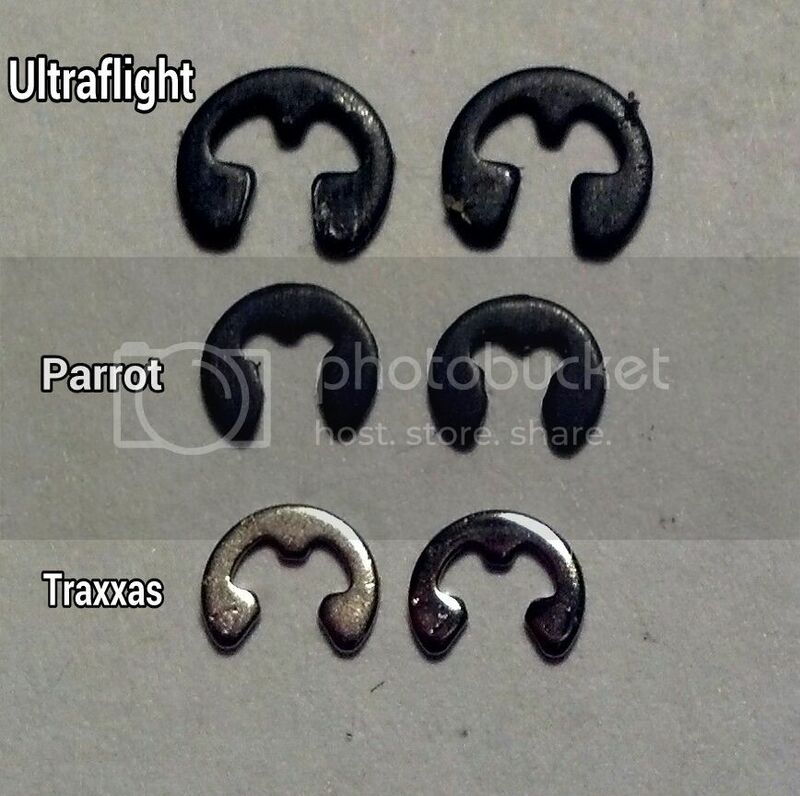 UltraFlightâ„¢ circle clips can be installed and removed using the ParrotÂ® toolkit or set of needle nose pliers. Developed and manufactured by a member of this forum, BoggsD. These clips really are bigger and stronger! I've been flying for several weeks with mine on and they hold strong. **One thing to remember with these clips is because they are thicker than stock, you have to really push them on until you hear the "pop" to make sure they are fully seated. Once seated, these babies are solid! No Worries anything Bob sells you can be sure is a quality product, he has never sold us short yet he always delivers it right away also. I ordered mine on Friday, should be here early next week. I definitely will. Clear gears may be available by end of week. The props are probably a couple weeks away yet. DroneBonerStallone wrote: I got mine!!! Great comparison pic. Thanks for posting DBS!